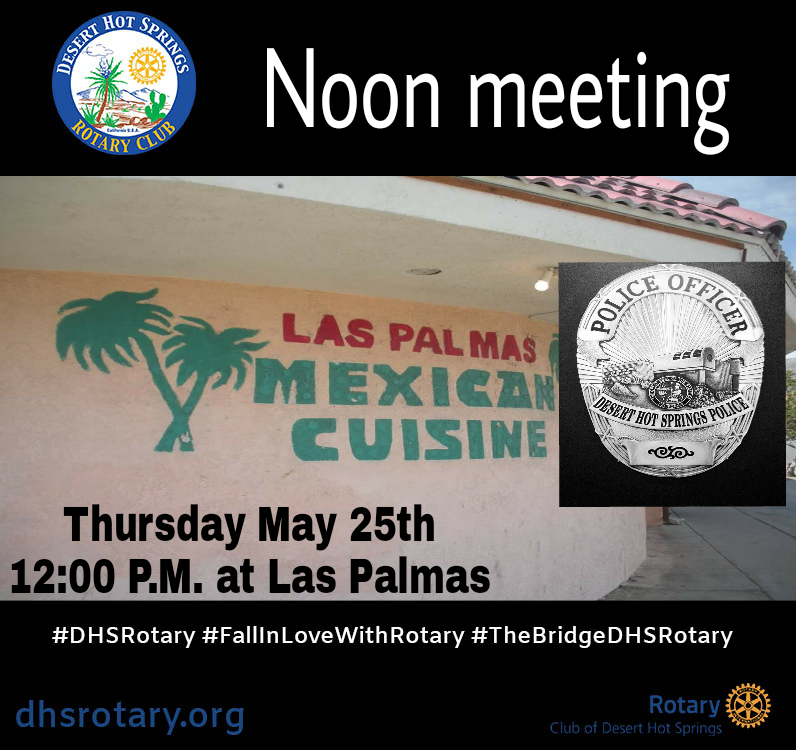 May 25th – “Public Safety Conversation” with the Desert Hot Springs Police Department. We will have a community conversation on local public safety needs. The DHS Police Department wants to hear feedback about the communities priorities in regards to Public Safety. They want to serve us to the best of their abilities, the first step is for them to know what we want….. JOIN US! INVITE YOUR FRIENDS!